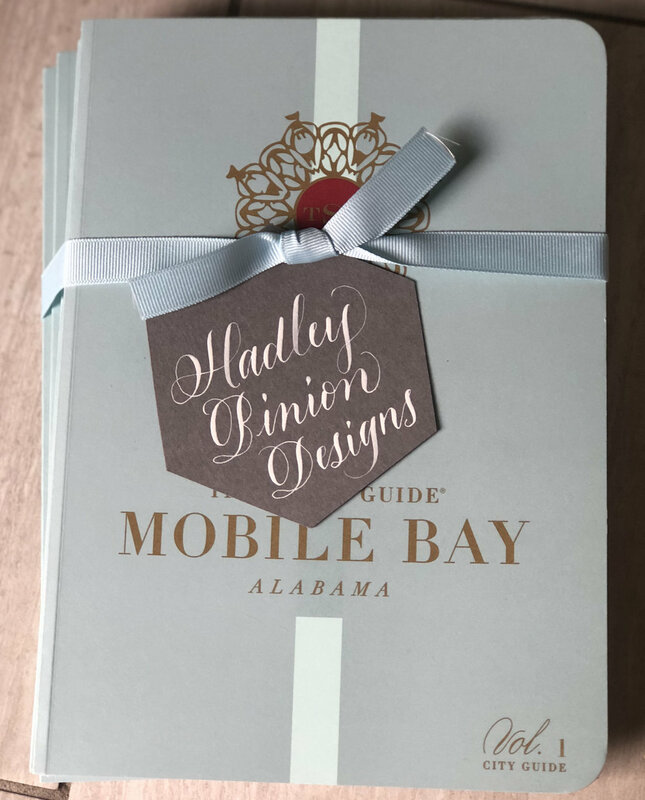 Thankful for the opportunity to design The Scout Guide Mobile Bay map + directory! Very candid and unedited…but so much fun with these people! Always a work in progress...but LOVING my new gold framed painting by my good friend Sarah Otts! 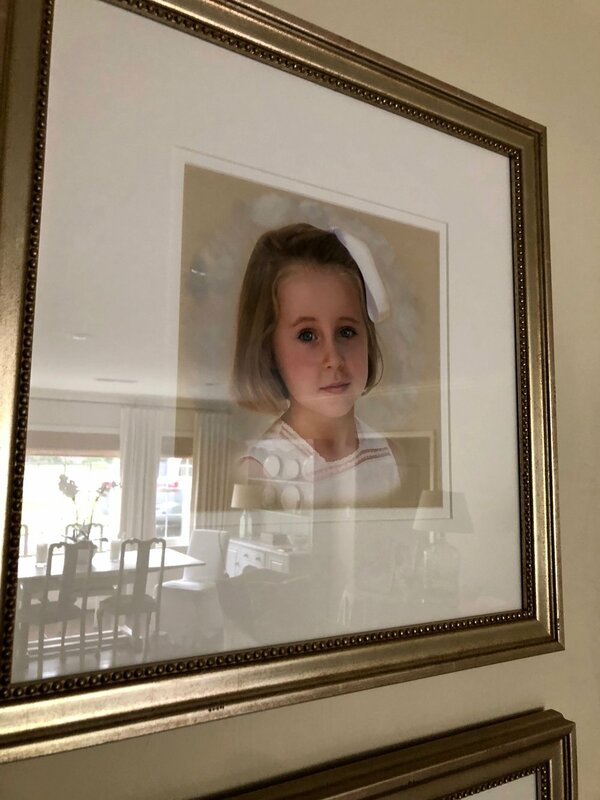 I've had the painting for a year or so, but I just now framed it in G O L D, and it made all the difference. I also stumbled upon this cowhide rug the other day at a local antique store. 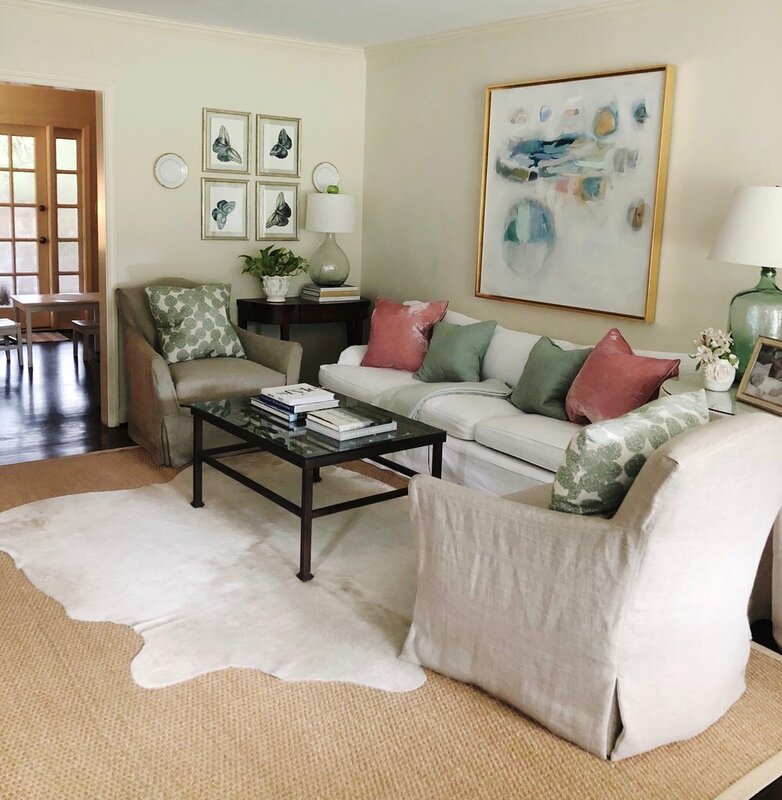 I love how it makes the entire space so much softer and cozier. Will work for antiques. Atchison Home is the Best, and worth a drive if you haven't visited before! 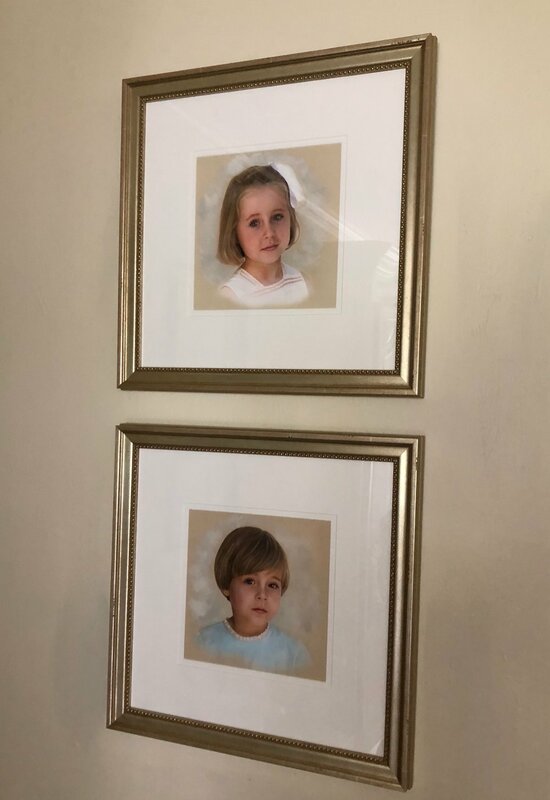 I will always cherish my portraits by the talented Chelsea Francis and Jane Tucker. Back to work, but wanted to pop into the old blog and share these for a few minutes. 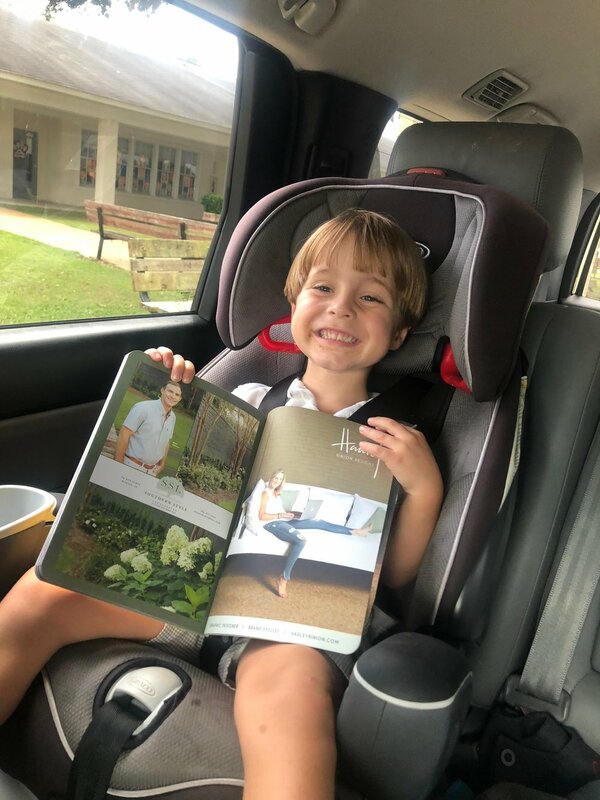 I’m very honored to be a part of The Scout Guide Mobile Bay, and no words can describe how grateful I am to work with so many wonderful brands and people. 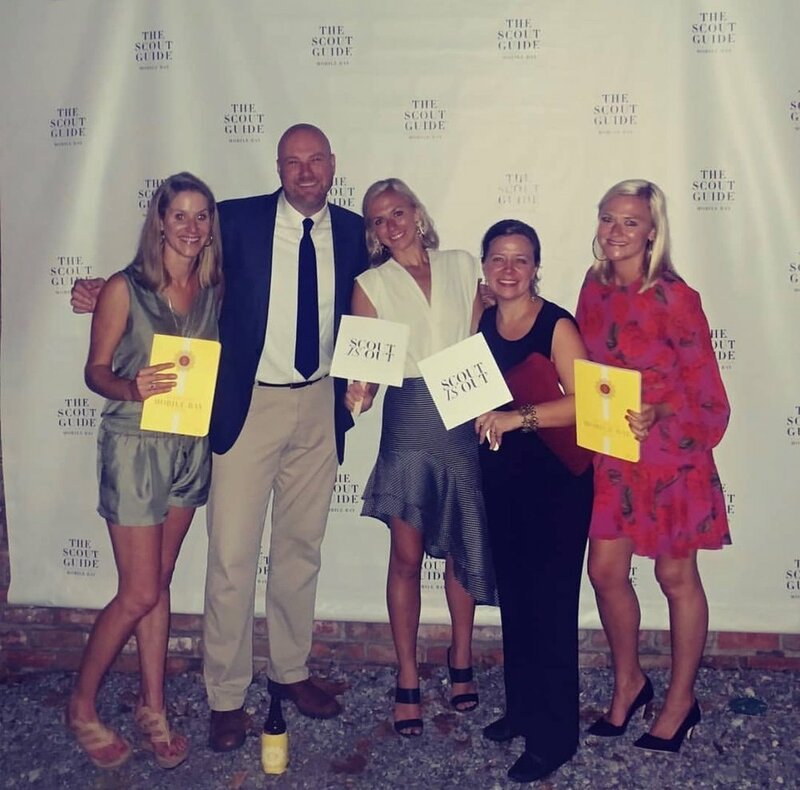 Huge thanks to our wonderful editors, Katie Crow and Jamie Conger for bringing The Scout Guide to Mobile Bay! I’m a big believer in advocating for one another and supporting each other. 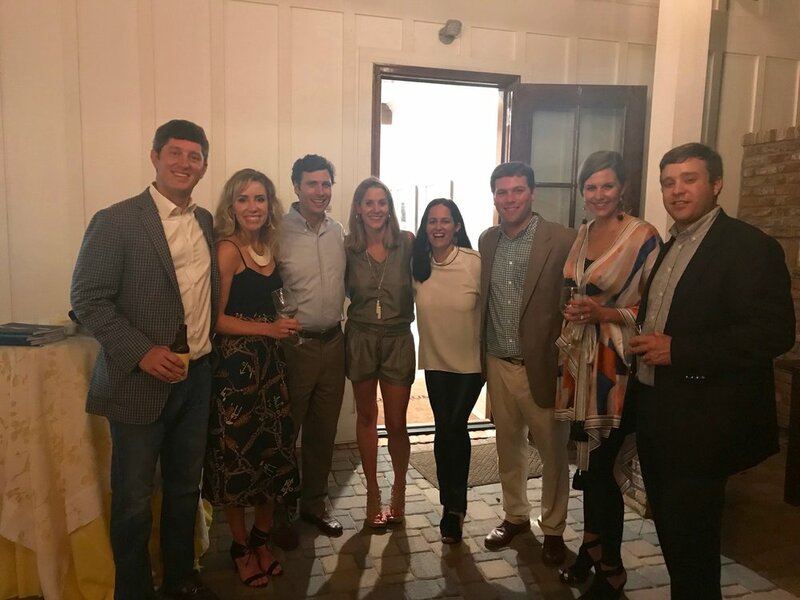 I love Mobile Bay, and am thrilled to watch the growth around us. 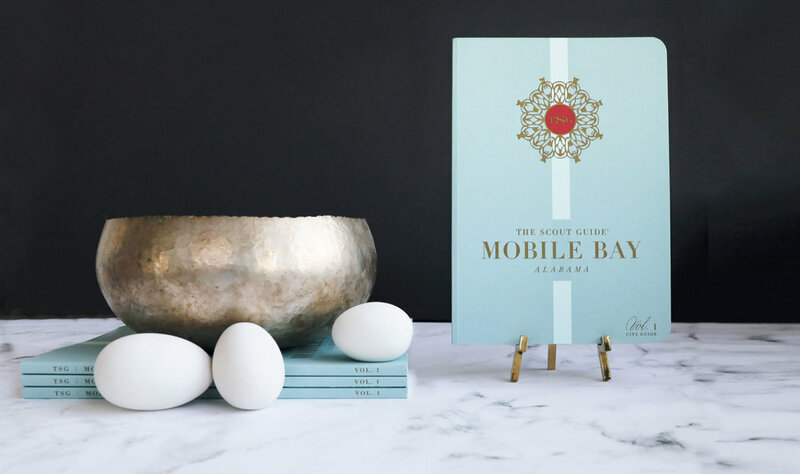 Mobile Bay friends, grab a copy at any SCOUTED business location, and check out www.thescoutguide.com. Thank you Devin Ford Photography for your beautiful eye and photography. You ladies have become more like great friends than work friends, and for that, I am forever grateful. Browse the online guide here. 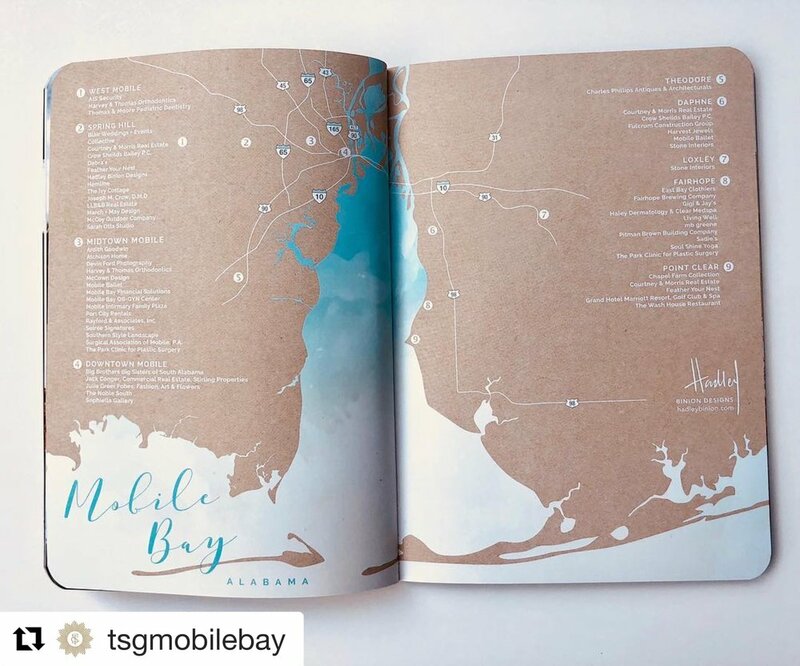 Loved, loved, loved collaborating with one of my best buds and artist extraordinaire Sarah Otts on the Mobile Bay map + business directory. If you don't know about The Scout Guide, click here to learn more. 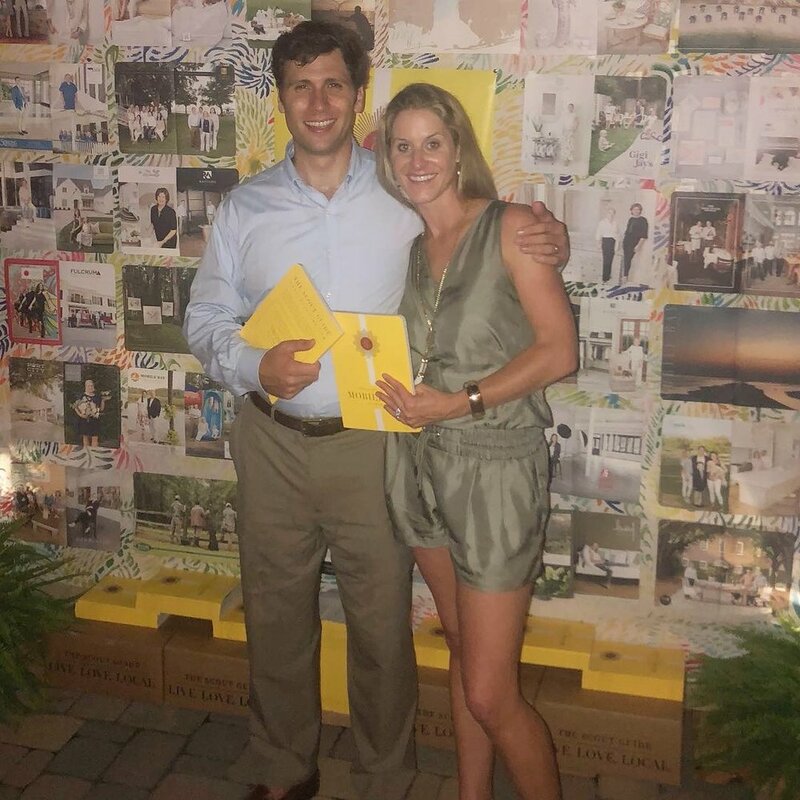 It's one of my favorite publications in 60+ cities to date! 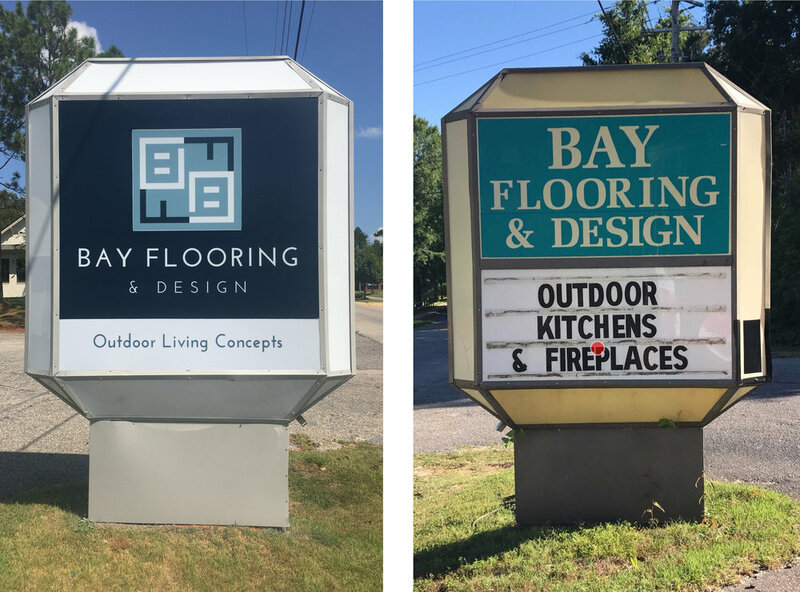 Talk about a sign transformation for Bay Flooring & Design on North Section Street in Fairhope! 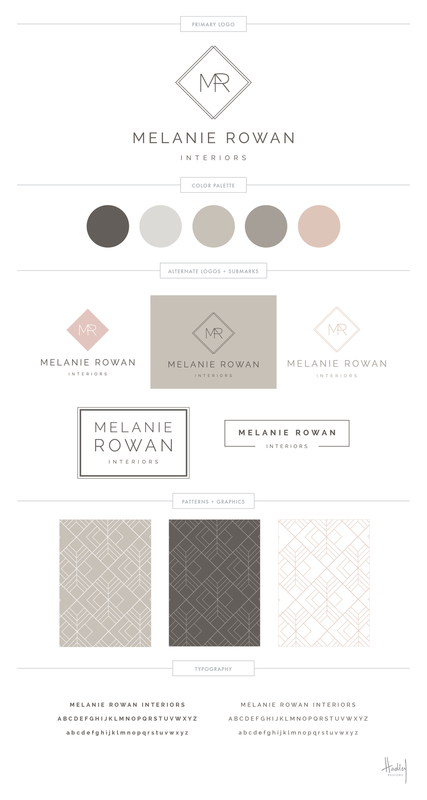 When it comes to my design work, there's nothing more fulfilling than creating and transforming a brand to represent the true identity and personality of a client. Very honored to help Bay Flooring do just that. I was thrilled when I received an email from them last spring, mainly because I enjoy driving by pretty signage too, and this eyesore had stood out to me for YEARS. Their sign was grandfathered in decades ago. Rarely do you see a sign this large and close to the street, on such a busy street in downtown Fairhope. See before picture below: The first-class building and business (with both updated exterior and interior) did NOT match their 1980's sign. This transformation ended up being a ton of work because sign ordinances and sign companies can be difficult to deal with. 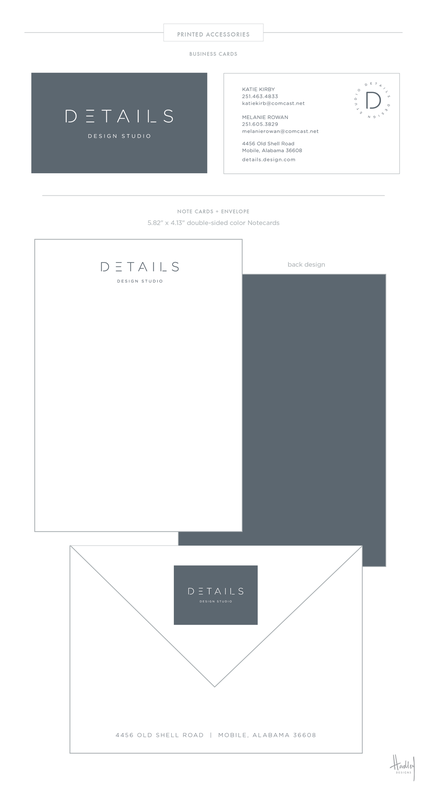 DISCLAIMER: This is my design journal / blog where I share the story behind the branding and projects. So, I will be honest here but always positive in truth. We knew that we couldn't remove and replace the existing structure, BUT that we could change the panels within the frame and the colors of the panels and trim, etc. Or, that was what we begged to do. After struggling with several other sign companies, we contacted Identity Signs and they were willing to help us, and most importantly, they didn't tell us what we 'couldn't' do. Other's had said that "we couldn't change the panel size within the entire frame" or "that we couldn't update the discoloration and/or color of the outside panels." Etc. etc. So THANK YOU, Identity Signs for taking this one on! What a difference it makes!!! (worthy of MULTIPLE explanation marks) We also ran into problems when the sign was first printed. The colors were off. BUT, Identity Signs worked with us until we were 100% happy, and reprinted the sign for us. Its exciting to see so many wonderful businesses with 1980's/1990's brands catching on and realizing how important branding is. Branding helps make cities and streets prettier, and this is a good example of that. Thanks Bay Flooring! The website is next, but for now, visit their Facebook page to see their projects and work! So excited to help Adelaide McAleer Styling launch her new brand! Adelaide's friends have been telling her to do this for a long time, and she finally took a leap of faith. If you need help with hair styling before an event, Adelaide's the girl to call. She has a great eye for fashion, flowers and beyond. A lotta love went into this new brand for Catalyst Athletix Ministry. Their mission is to use sports as a means to embody and extend the love of Jesus to at-risk youth. Very honored to be a part of this! Narrowing it down is often the hardest part. 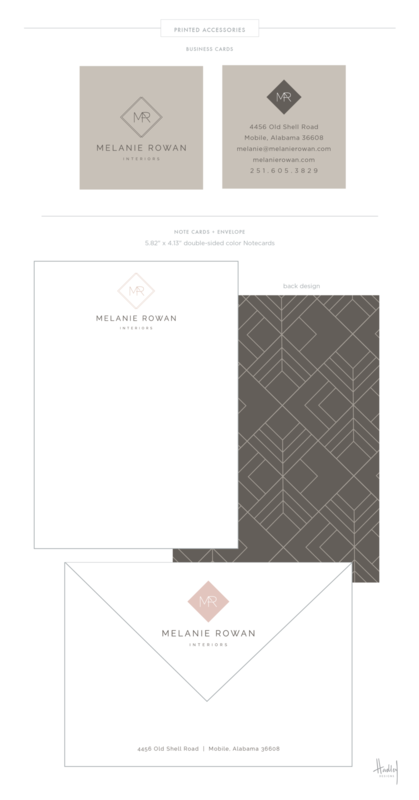 Love this new branding for Emily Ryan Smith! Cheers to this New Brand Launch!